Besan flour, made from chickpeas, is a wheat-free product rich in fiber and nutrients. Found primarily at health food stores in the United States, besan flour can stand in for wheat flour in many recipes, adding a nutty taste to breads, sauces and other foods. If you have to avoid gluten or are watching your weight, besan flour makes a healthy and versatile alternative to high-carbohydrate wheat flour. Besan flour, also known as gram, garbanzo or chickpea flour, is made by milling chickpeas, a type of legume. It may be either finely or coarsely ground. Cooks in India use a particular type of chickpea called chana dal. Besan flour is pale yellow in color and a staple of Indian cuisine, used to make dumplings, fritters and noodles, and for thickening curries. According to the India Ministry of Food Processing Industries, besan is the most commonly used flour in that country. Besan flour contains 387 calories per cup, according to ThirdAge.com. It also has 22 milligrams of protein, 11 grams of sugar, 7 grams of fat, 11 grams of fiber and 58 grams of carbohydrates. A third of the starch in besan is amylose, a slowly digested starch that helps you feel full longer. A 1-cup serving of besan is rich in the minerals calcium, magnesium, potassium, zinc, iron, phosphorus, manganese, selenium and copper. Although not a rich source of most vitamins, besan does contain vitamin A, niacin, pantothenic acid, vitamin K and folate. If you have celiac disease or a gluten intolerance, you must avoid flours containing gluten, such as wheat, barley and rye. Besan is gluten-free and can be substituted in recipes for wheat flour. In addition, researchers in Melbourne, Australia, studied chickpeas versus wheat flour on the insulin response in healthy middle-aged men and women. The results, published in 2004 in the "American Journal of Clinical Nutrition," found that a single chickpea-based meal led to reductions in blood sugar and insulin concentrations, compared to a wheat meal. A separate study, published in 2007 in the "Journal of the American College of Nutrition," demonstrated that besan flour led to a significant decrease in total cholesterol compared to wheat flour. You can make your own besan flour by grinding dry, whole chickpeas in a food processor until the mixture becomes a fine powder. 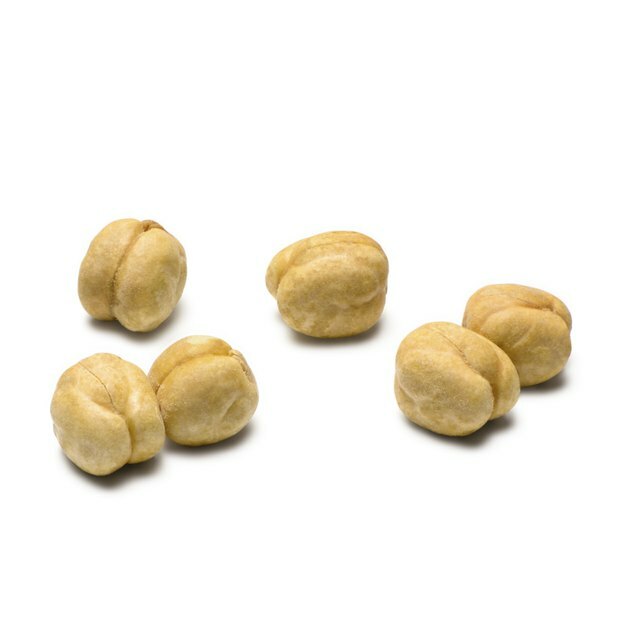 Chickpeas can also be roasted prior to processing in a 400 degree Fahrenheit oven for 15 to 20 minutes. Store the flour in the refrigerator for up to six months or in the freezer for up to a year. Use besan as a thickener in soups and stews, as a batter for frying, for pancakes or waffles or to make vegan omelettes. In general, 7/8 cup of chickpea flour replaces 1 cup of wheat flour in baking. You can substitute 1-to-1 when using besan for breading or as a thickener in sauces.